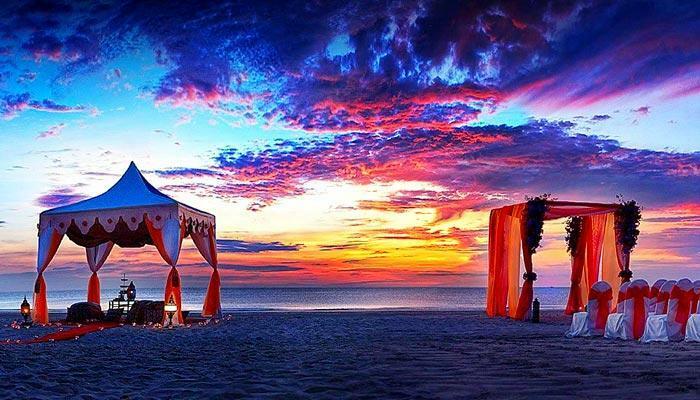 Hua Hin is a top destination in Thailand and growing more popular each year featuring all the elements for a tropical vacation like few other. 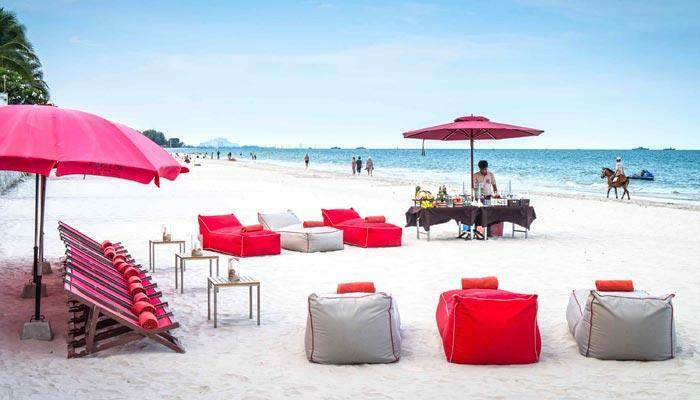 Besides its luxury 5 star hotels Hua Hin sports miles of sun drenched beaches, a placid ocean safe for swimming, many markets and seaside restaurants. 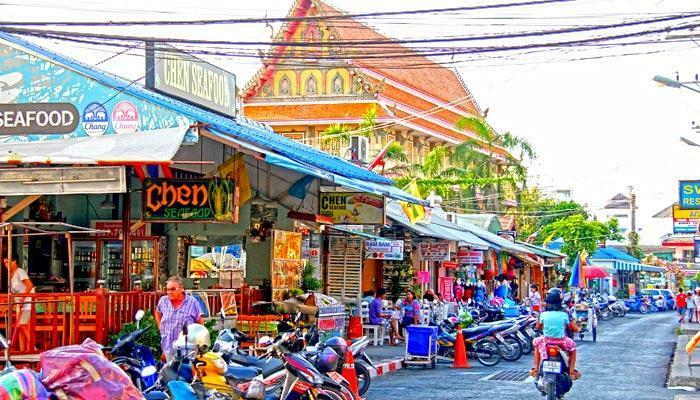 Narrow streets meander through the down town area which always exude a jovial mood. 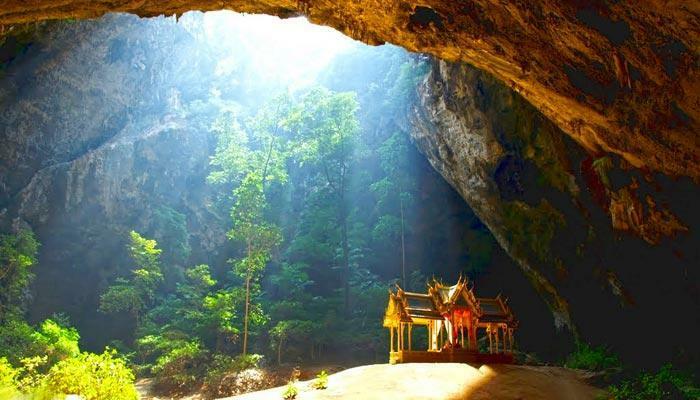 The area has top notch golf courses, fabulous water parks for family recreation, temples to visit, a national park and the Pal-U waterfall is great for a Sunday picnic. 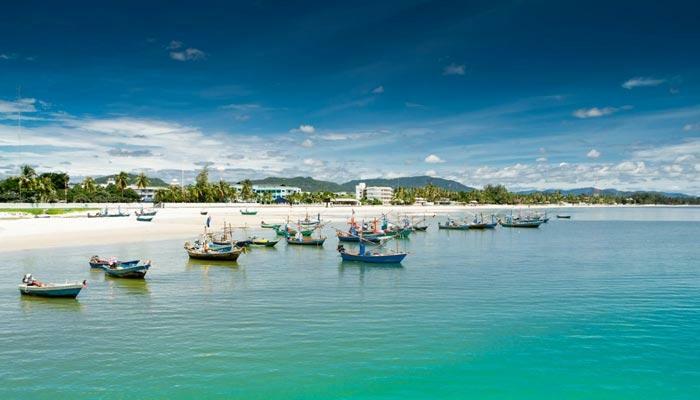 In our Hua Hin image gallery below we try to capture some of the town's charms, but this is a location much better experienced than looking at pictures of the nightlife, photos of beaches and its many other attractions. 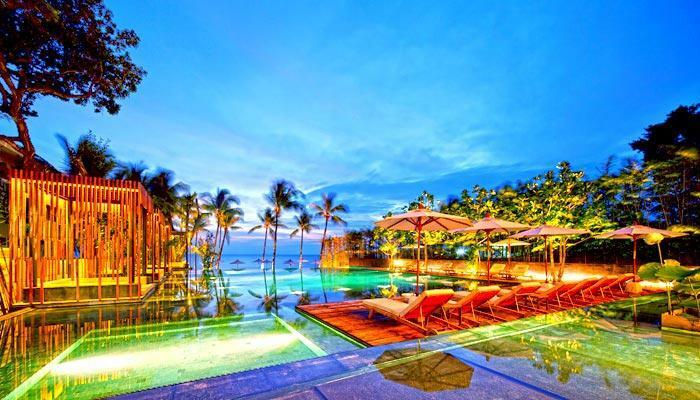 The area is easily accessible being only 200 kilometers from Bangkok and sports luxurious seaside hotels and resorts, mid-range accommodation and cheap rooms right on the water’s edge. 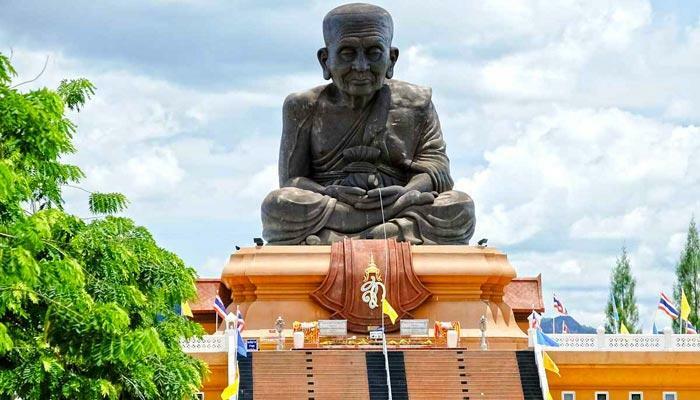 It is also a wine producing area and at the Hua Hin Hills vineyards you can hop on an elephant and go pick your own grapes before sitting down to the farms restaurant for a delectable meal. 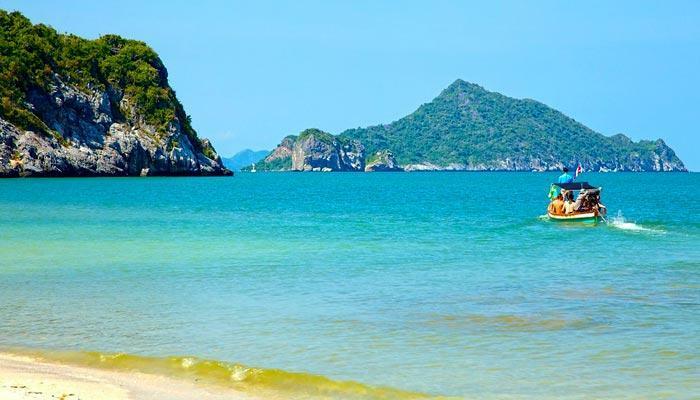 For a family friendly vacation along the Shores of the Gulf of Thailand, set your sights on this royal town. 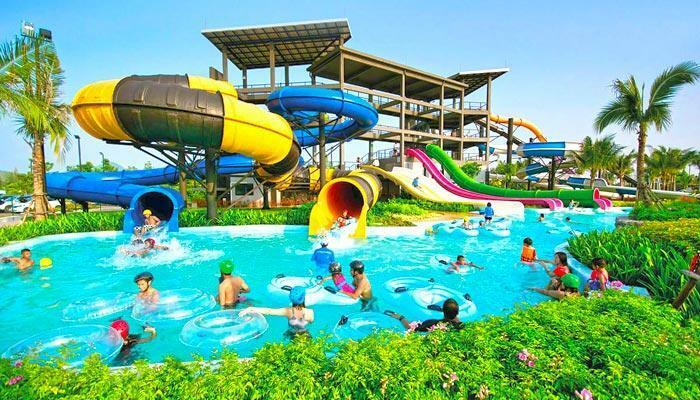 Black Mountain is one of 2 water parks in Hua Hin and a huge draw with families. 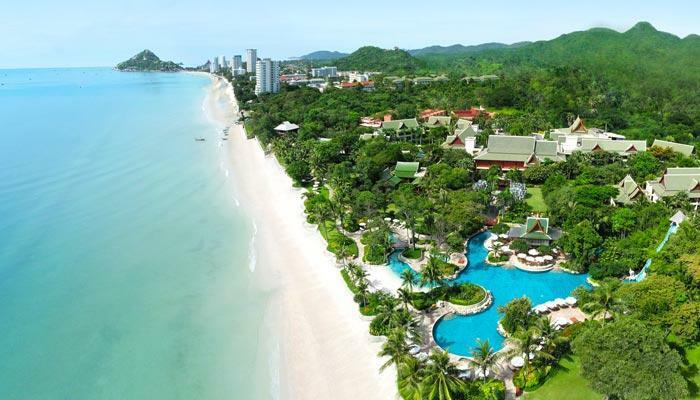 Hua Hin offers 1st class luxury 5 star hotels with private pools like the centrally located Cape Nidhra. 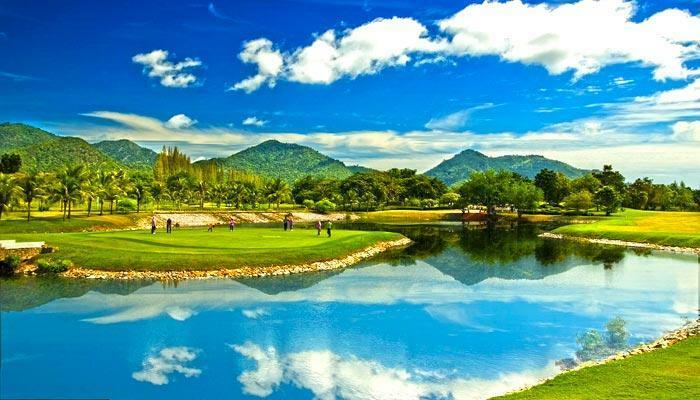 With more than 10 golf courses in and around Hua Hin it has become a magnet for golfing enthusiasts. 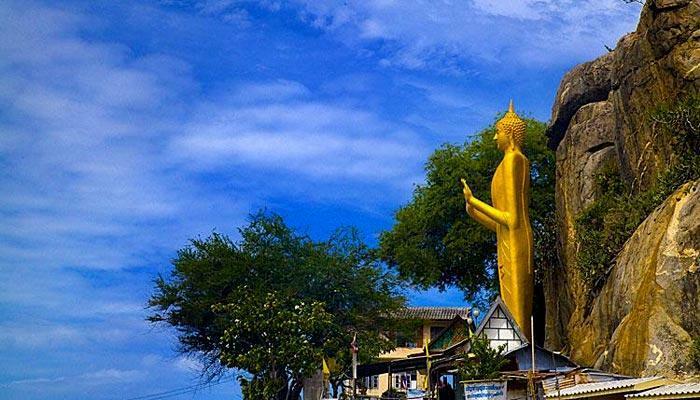 The Big Buddha statue on Takiab Hill in Hua Hin acting as overlord over he Gulf of Thailand. 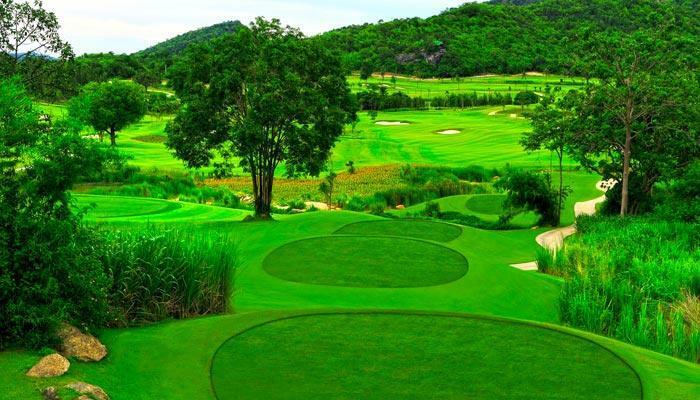 Hua Hin features challenging golf courses as well as golf tuition. 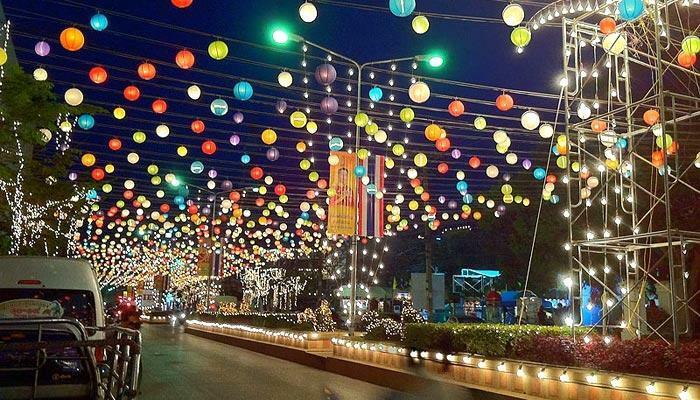 Though Thais are predominantly Buddhist, they make an effort to decorate the town and create a Christmas spirit. 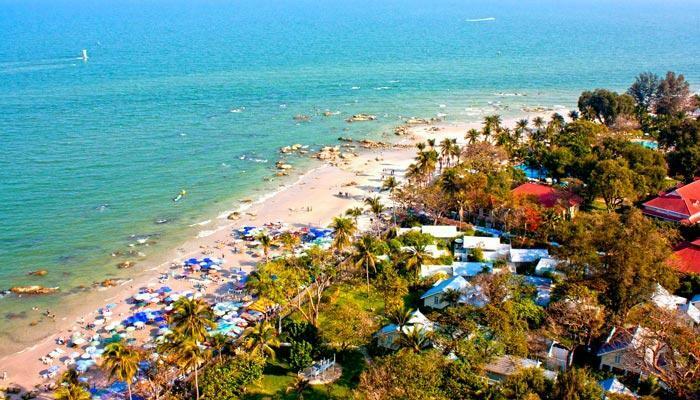 The beach in Hua Hin stretches for miles and except for a small area near the Hilton Hotel and Centara Grand Beach resort there are no rocks and the beach shelves slowly to make it safe for swimming. 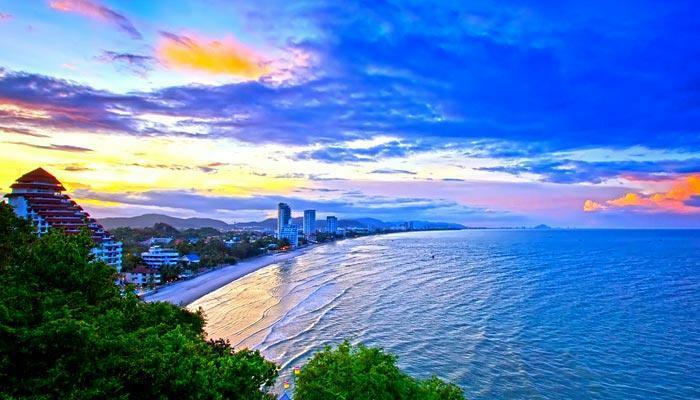 The beach of Hua Hin at sunset as seen from Takiab Hill. 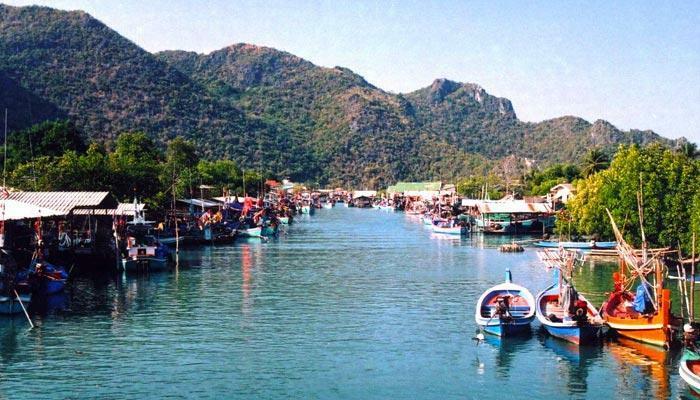 The area near the Hua Hin harbour where many restaurants are built over the water. 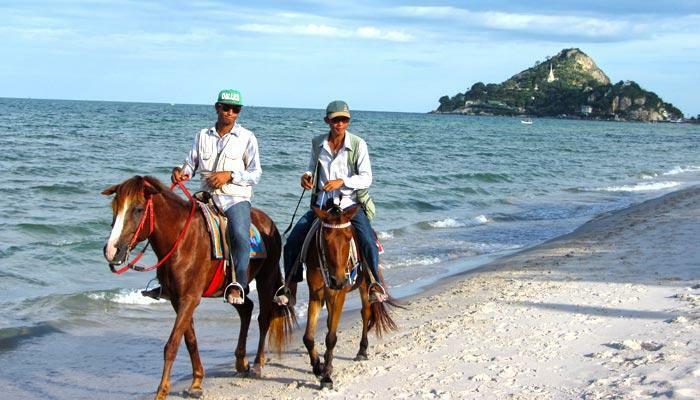 All along he beach pony rides are offers for kids and adults. 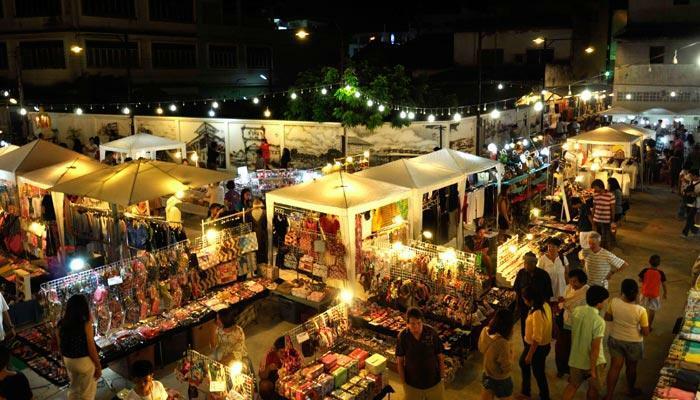 Hua Hin feature several large night markets where you can buy clothes, leather accessories and jewelry as well as enjoy mouthwatering food. 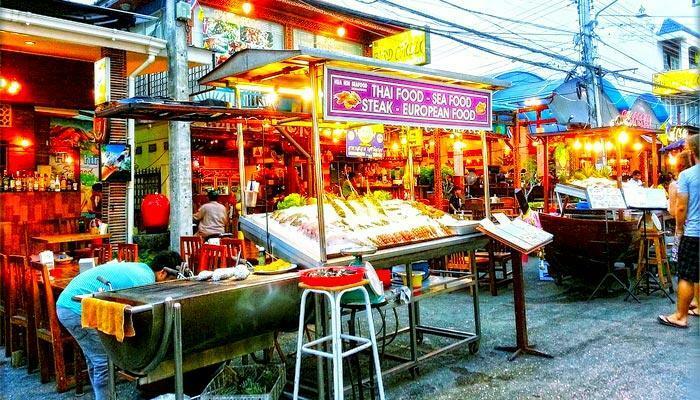 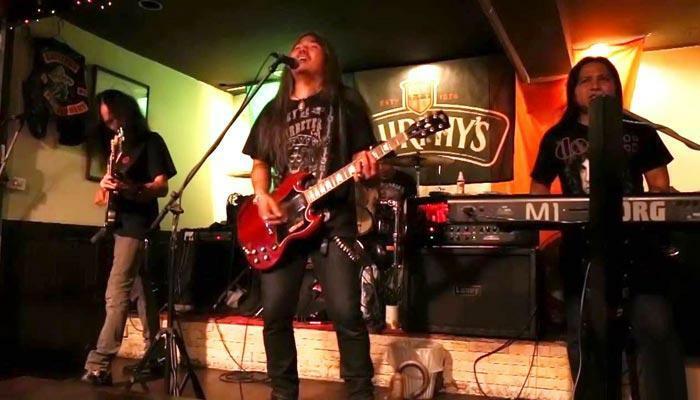 The nightlife area around soi Bintabaht features an inexhaustable number of bars, pubs, restaurants, cigar lounges and wine bars. 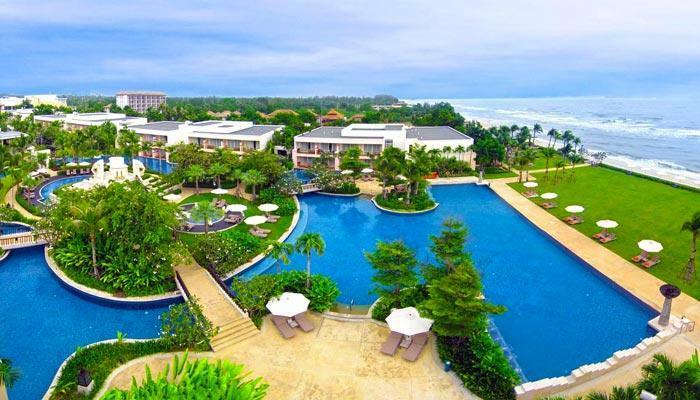 Plearnwan is located in the main road of Hua Hin. 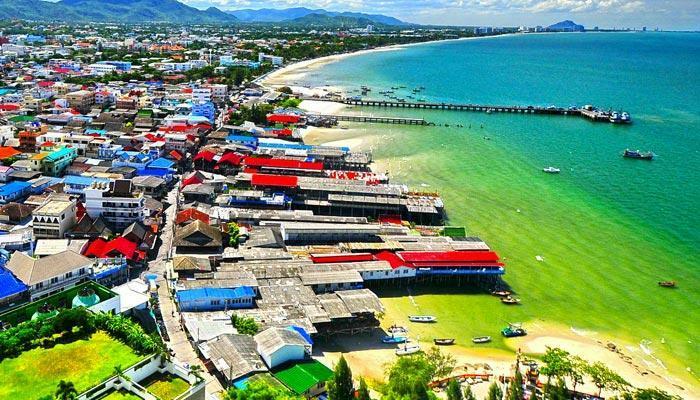 Visually depicting Hua Hin of yesteryear you can get a glimpse of what Hua Hin looked like and how people lived 100 years ago. 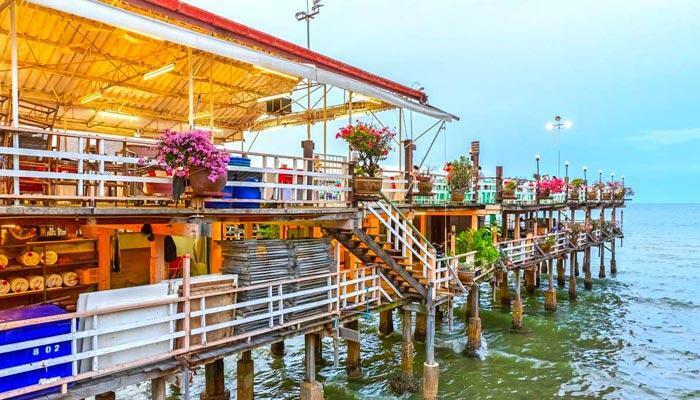 Some restaurants in down town Hua Hin feature a wooden deck built over the water at high tide for a special dining experience. 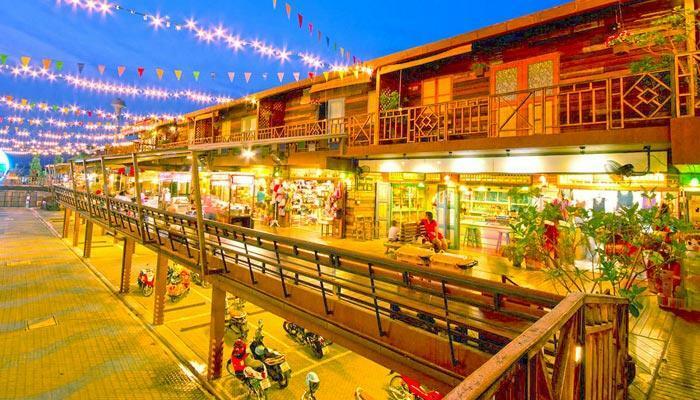 The down-town entertainment are in Hua Hin features anything from massage parlours to pubs and restaurants. 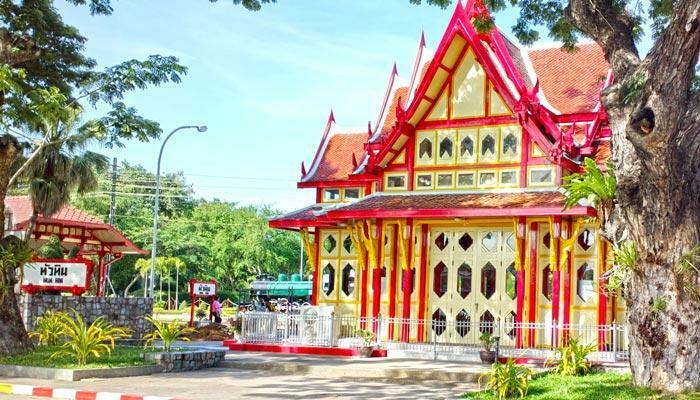 The railway station in Hua Hin is a charming historic attraction still featuring the royal waiting room. 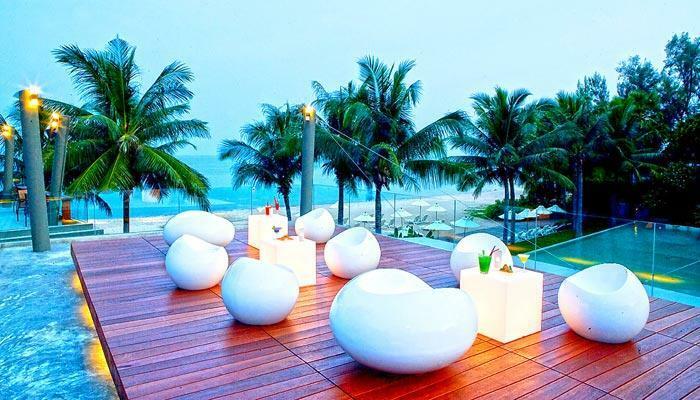 Trendy beachfront restaurants in Hua Hin like I-Sea Restaurant are cool places to hang out on a Sunday evening. 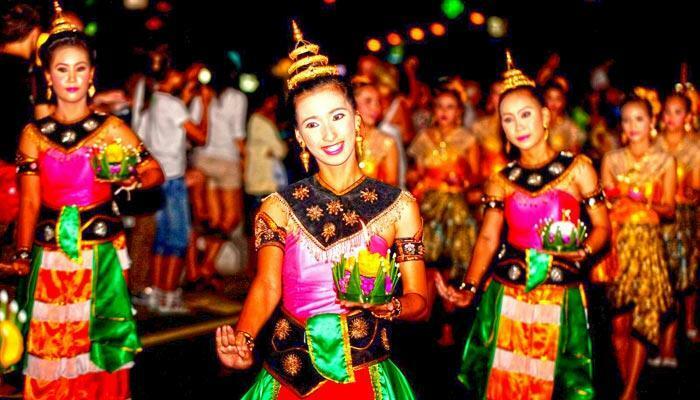 During Thai festivals like Loykratong elaborate floats and marches down the main road in traditional clothes creates a festive mood. 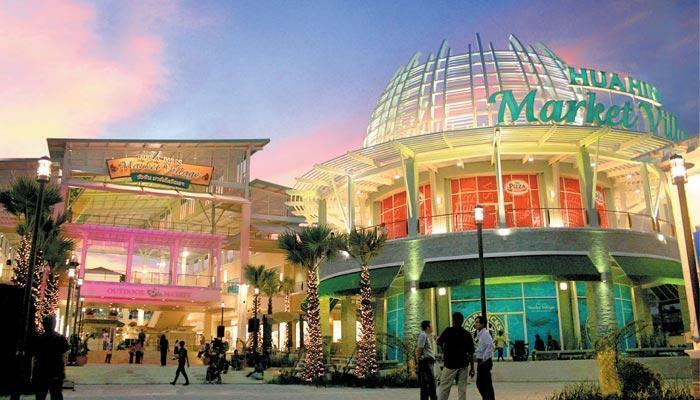 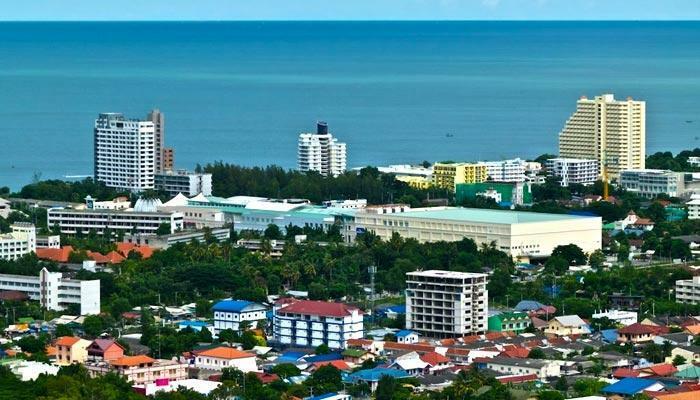 The developed infra structure of Hua Hin feature conveniences like the Market Village Mall among many others. 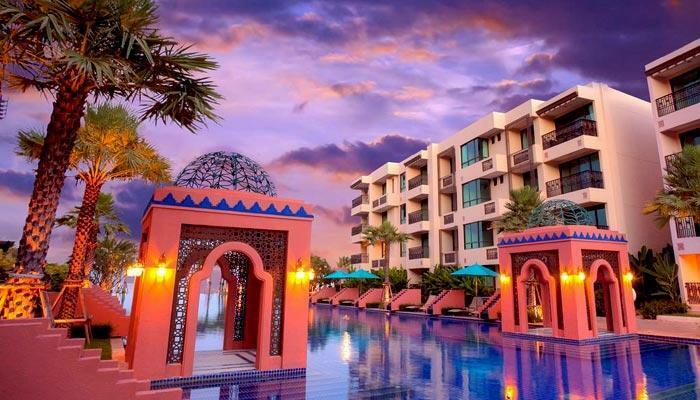 Hua Hin offers an extensive choice of beachfront condos like Marrakesh, for short term holiday rent. 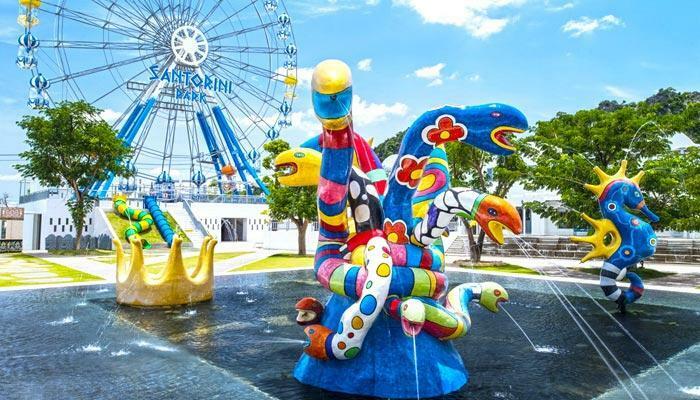 Vana Nava is the latest water park in Hua Hin. 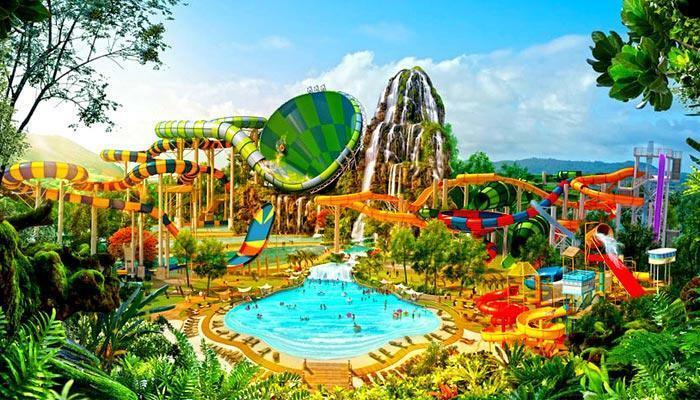 It features thrilling rides on huge water slides against a jungle theme backdrop. 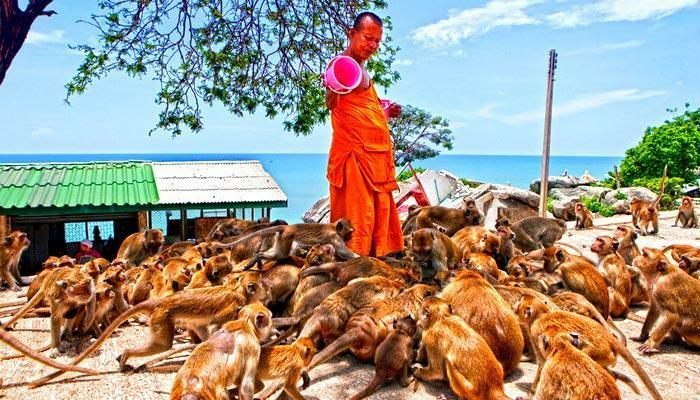 Wat Huay Mongkol Hua Hin is a large and revered temple in Hua Hin.